Resumes are a crucial part of most organization’s recruitment process. In many cases, it is the first point of contact that an applicant will have with an organization. Often, the information found in one’s resume will result in them being placed in either the YES pile or the NO pile. The desire to be placed in the YES pile can involve circumstances that cause applicants to take liberties with the truth on their resume or during the application process. 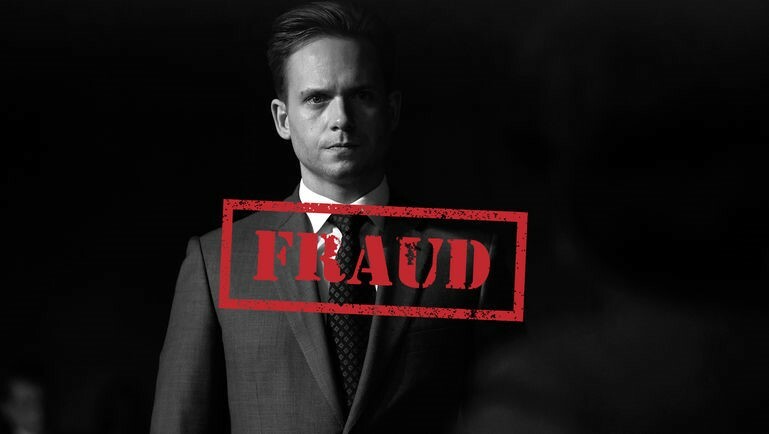 An extreme example is Mike Ross (from the TV-show Suits) pretending to have a law degree in order to pay for his grandmother’s medical bills. A more common scenario is that a job hunter may find that their search is beginning to drag on and hit a point of nervous desperation. Or, perhaps an individual might wish to avoid explaining an awkward employment gap or will embellish their experience because they really want the job. Some people don’t feel that exaggeration is a big deal – “it’s called selling yourself!” The fact is, it is a big deal. Dishonesty on resumes can span from embellishments, to omissions, to outright lies. A simple embellishment might involve exaggerating the size of a leader’s team or the scope of their role. I have seen applicants omit the end dates of their positions in an attempt to hide a 3-month employment gap or neglect to update the dates of their employment. In doing so, the candidate is attempting to mislead the hiring manager into believing they are still currently working. In a more extreme manner, there are times when people outright lie on their resumes. Employers will find out. Recruiting processes have all sorts of checks in place. Interview questions are designed to give employers a clear understanding about career history and qualifications. Reference checks and other background checks are done to confirm career history and qualifications. Practical testing may also be done to ensure that a candidate has the skills and qualifications they claim to. Many organizations even use social media to qualify applicants. Even if you are a Mike-caliber liar and manage to get hired or if the recruitment process is not as thorough as it should be, there’s a good chance that your performance will give you away resulting in further investigation and consequences. The consequences. If an employee does get a job under false pretenses, an employer has the right to terminate the employment contract. This can happen early on or even years into your career with an employer. Leaving a job under such negative circumstances typically results in no references and puts candidates in an even more difficult position than they were prior to lying. Loss of credibility. Some view a small embellishment or little white lie as a simple marketing spin. It may not seem like a big deal. However, in an employer’s mind, if they find out that an applicant is willing to lie about something small, then why should the employer believe that they won’t be dishonest about something large? Even if you are not terminated, your employer will not trust you 100%. Further to a damaged reputation, your career opportunities with that organization will likely be very limited. It’s wrong! Never mind all the consequences, dishonesty is simply wrong. Is it just me or is every “noble” thing that Mike does tainted by the fact that he’s NOT A REAL LAWYER and that he lied to get to where he is? In addition to a damaged reputation and other consequences, dishonesty in the recruitment process also hurts the chances for all the honest jobseekers out there and may strip them of a job that they are actually qualified for. We have all heard about situations where a little white lie can turn into a big green monster. Lying to get a job is not worth your credibility and reputation. It is far better to focus on honest strategies for getting ahead because once your reputation is tarnished it is difficult to build it up again. For tips on how to positively impact your resume, take a look at our Resume Tips blog. For more information on Acuity HR Solutions and for a listing of our current opportunities, please visit our website at www.acuityhr.ca and sign up for our newsletter!